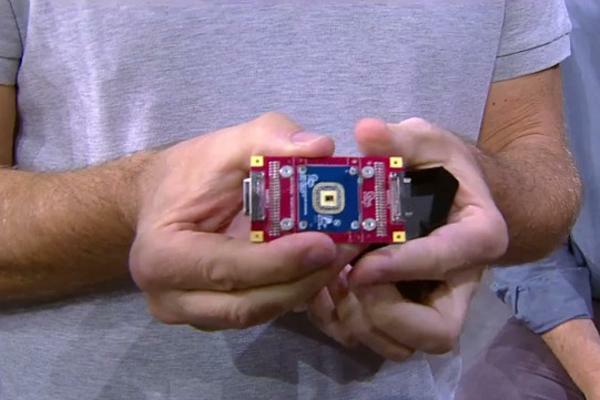 This time, the company is developing the programming language and the chips themselves. Microsoft executives said Monday that the company is developing a quantum computer—from chips all the way through to the operating system—in a bid to control what could be a disruptive computer technology. Though Microsoft is following companies like IBM and D-Wave Systems—whose 2000Q quantum computer is already built and selling to customers like Los Alamos National Laboratory and Google, among others—Microsoft hopes to be able to develop chips around what it calls topological qubits, a more stable form of the quantum bit. Topological qubits would make them more resilient under everyday use, the company says. In the meantime, Microsoft is developing a language for programming quantum bits, using its topological qubit model. The system will be available as a free preview by the end of the year, and includes libraries and tutorials so developers can familiarize themselves with quantum computing. That’s a similar approach to what IBM is doing, which already made its 5-qubit quantum computer available through the cloud to anyone who wants to play with it. 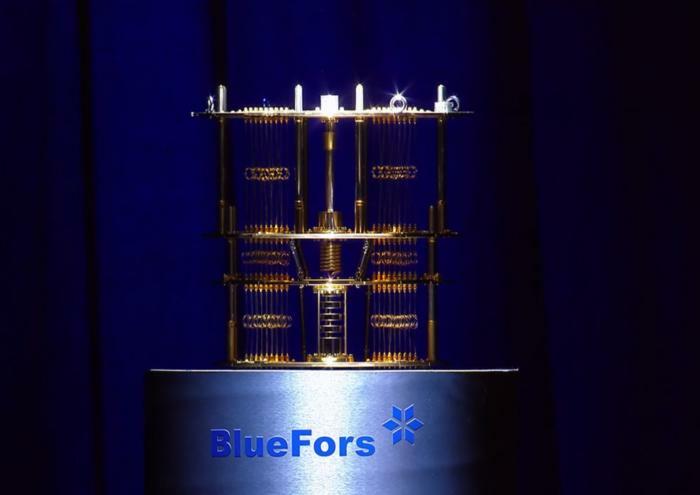 At its Ignite conference in Orlando, Florida, Microsoft chief executive Satya Nadella said that quantum computing enables different approaches than “classical” computing: while a typical PC might try and “brute force” a problem by trying all possible solutions sequentially, a quantum computer can try as many solutions as it can in parallel, all at once. “That’s the intuition behind the power of quantum,” Nadella said. A cooling system used by BlueFors Cryogenics to help cool the quantum chips. What this means to you: Quantum computers are barely understood by the enterprise and big-data worlds, which means that even a server running on qubit processors still seems like science fiction. As for a PC? Probably not anytime soon. One of the limiations of quantum computing is that the hardware has to be chilled down to just a few millikelvins -- a smidge above absolute zero -- for quantum computing to work. That makes them impractical for everyday use, at least for now. What Microsoft's trying to do, though, is impose order over this new market by developing the languages and eventually tools. If quantum computing takes off, Microsoft wants its finger in the pie. Quantum computers calculate differently than today’s computers, which store data in the states of 1 and 0. Quantum computers use qubits, which store data in the form of either 1, 0, or both simultaneously, and in states beyond that. The qubit’s flexibility allows quantum computers to do more calculations simultaneously. The problem is that qubits can also be unstable, which could break a computing cycle. Researchers are trying to address those issues through different means. For example, D-Wave’s technique of quantum annealing uses a magnetic field to perform qubit operations. IBM uses what it calls the gate model. Roughly speaking, the concept of Microsoft’s approach, a topological qubit, is like a knot in a string. The information that a qubit normally carries is physically separated or fractionalized, spread out among two Majorana particles, according to Michael Freedman, a Fields Medal winner who now works at Microsoft. That makes them more resilient, he said. What Microsoft hopes to accomplish is to take everything in a quantum computing stack—from developing the chips itself, to a computer, to the languages and software necessary to run them—and build them itself. When will that be accomplished? Microsoft executives didn't say. This story used reporting previously gathered by Agam Shah.